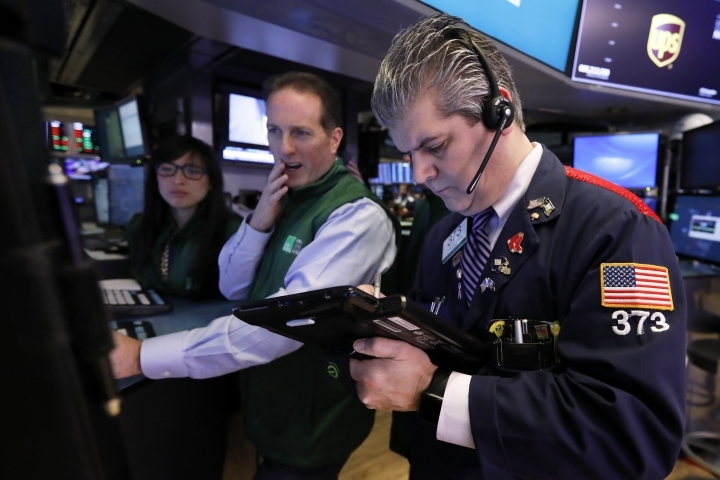 The Dow Jones Industrial Average lost 339 points, or 1.3 percent, at 25,050. The Nasdaq dropped 119 points, or 1.6 percent, to 7,255. Stocks are opening lower on Wall Street, following declines in Europe on more discouraging news on Europe's economy. Facebook sank 1.5 percent after German authorities said the company can't use customer data from other apps to target ads without the explicit consent of users. Traders were disappointed by news that the European Union slashed their growth forecast for the 19 countries that use the euro. Germany's index lost 1.8 percent. The Dow Jones Industrial Average lost 174 points, or 0.7 percent, at 25,214. The Nasdaq dropped 73 points, or 1 percent, to 7,303.